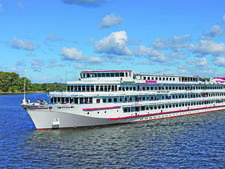 Vodohod’s river cruise ship Lev Tolstoy -- named after the famous Russian novelist -- is a four-deck vessel that has been specifically designed to navigate European waterways. 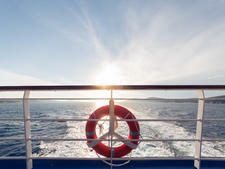 Lev Tolstoy features all outside cabins with en suite bathrooms and air conditioning. 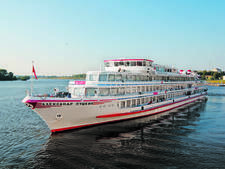 The ship can accommodate up to 160 passengers and has two restaurants -- one of which transforms into a nightclub -- a piano bar, coffee bar, sauna, solarium and swimming pool with a lido bar. 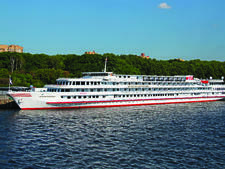 Onboard entertainment on Lev Tolstoy focuses on performances and activities designed to offer passengers an experience of authentic Russian culture and history. 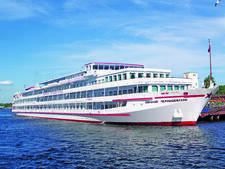 There are live Russian folk music and classical music concerts, as well as Russian language lessons, nesting doll painting classes, Russian tea ceremonies and a vodka tasting. 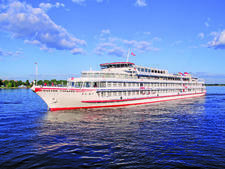 Lev Tolstoy cruises along Russian rivers and waterways, like the Volga River and Moscow canals. 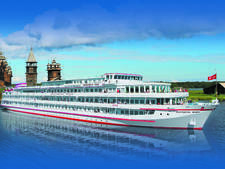 Shore excursions feature walking tours to see sights, such as architectural landmarks, museums and cathedrals. 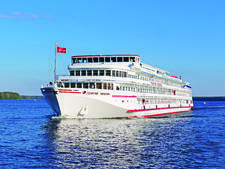 The two restaurants onboard Lev Tolstoy offer European fare, along with traditional Russian cuisine. Breakfast is a buffet meal and lunch is typically a hearty affair that highlights at least one Russian soup -- an essential item on most Russian lunch menus. 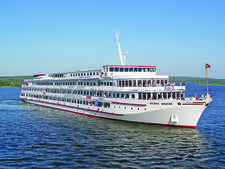 Dinner onboard Lev Tolstoy can often be an event, with themed nights that highlight the food of various regions, such as Ukrainian or Slavic cooking, served by waiters and waitresses in local costumes.